Patches is an ADORABLE girl & much smaller in person than she appears in pictures. She is a little chunky & about 45 lbs. Patches does well with most dogs & older dog saavy children. She wasn't sure about cats but now co-habitats well with them. Patches is a beyond happy gal that wiggles & bounces around. She thinks she's a lap dog & gets so excited to see her people. She loves pets & will give you her paw if you stop to urge you to keep going. She is mostly a mellow chick but has little spurts of play with balls & squeakers :) Patches just came to our rescue after being in & out of the shelter for nearly 5 years. We are requiring whoever interested in adopting her to work with our dog trainer (at least 3-5 sessions). 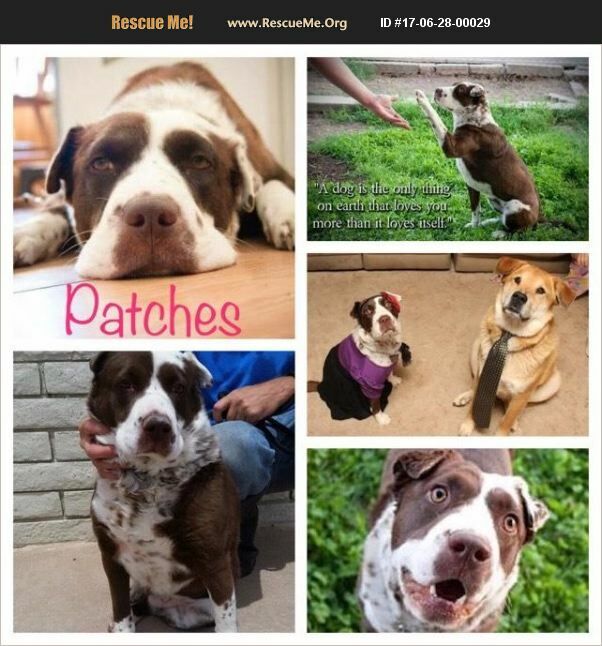 We want to set up Patches for success this time around so she can truly find her furever! She is very friendly but can be shy & overwhelmed with new people/environments. We are working on building her confidence & teaching her not to be so weary of strangers. She's a loving, perfectly house trained, nondestructive gal. She is perfect in a crate & enjoys her safe zone. She is spayed, vaccinated & microchipped. Her adoption fee is $200 to cover her training included in the adoption. Please let us know if you're interested in sweet Patches!